I am taking this opportunity to talk about Dr. Laska and his wonderful staff. I have been a patient of Dr. Laska for 11 years and over the course of those years, my treatment has been treated with top notch care. Dr. Laska takes a special interest in all of his patients, and it shows when you walk through the office doors. He also has a complimentary staff that he works with side-by-side. First of all I'll like to say a very "BIG'' thank you to you all, for helping me get back my beautiful smile. I am very grateful and happy, happy, happy with my new smile. Your staffs are the best (A+)so far and that's the truth. They really treat you as part of the family with respect, genuineness and will always work things out to meet your needs. Oh yea before I forget, few minute after I saw my beautiful smile, the percentage of my confidence went all the way to 110% glory be to God. Thank you! The cleaning was standard and fine. I was pleased that they replaced my broken amalgam filling (from a different dentist) with a white composite filling. The dentist was very kind and even suggested I listen to my iPod because I was very nervous and was having a difficult time getting numb. The office was clean and efficient and I did not experience any issues with billing or paperwork. The only thing I didn't particularly like was that I felt like I was being sold a lot of "add-ons" that I wasn't interested in, like whitening, straightening (I've already had braces) and $4 floss picks. Overall, it was a positive experience, though, and plan to make another appointment. 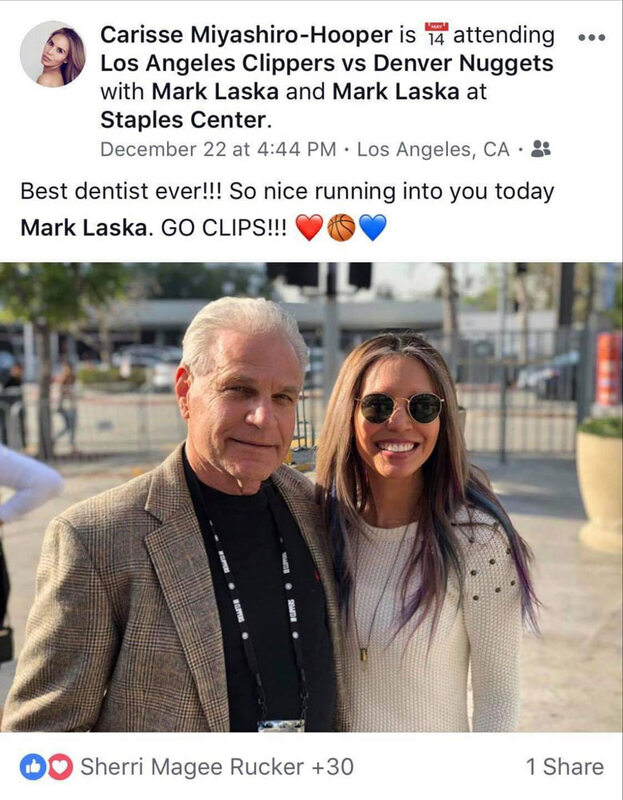 I've been going to Dr. Laska's practice for years. Many trusted friends have recommended other dentists to me, but the atmosphere, service and prices at Mid Wilshire Dental are so good that there is no real reason to go anywhere else. My hygenist is very thorough and honest, and he has coached me on my daily hygene to the point that I actually floss everyday. They have also straightened out my teeth with Invisalign, which is much more pleasant than braces and has changed my life for the better. Dr. Laska is excellent at keeping an eye out for any dental conditions (although my improved hygene means less work for him), and he always offers very good advice when asked or as required. The Dental work that I have recieved over the many years has been very good. All of the staff have been professional and deligent. Dr. Laska has always communicated very well with me in regards to any neccessary treatment needed which is why I have continued to be a patient in his office. Also I have known Elva for a long time and she is a good office leader. Best dental experience of my life! After avoiding the dentist for 7 years, everyone at Mid Wilshire Dentistry made me feel relaxed and comfortable. Dr. Laska was warm, caring and best of all ~~ gentle! He thoughtfully explained all my dental needs and had me walking out of the office with a huge smile. 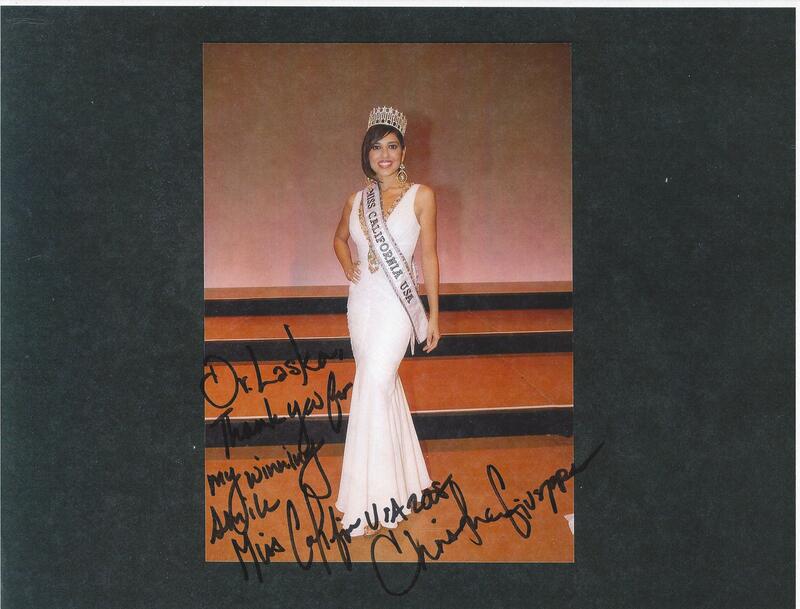 A million “Thank You’s” to all! Dr. Laska has the touch of an angel---a very light touch – as a patient I felt strength behind the gentleness and a mannerism and kindness in his nature. He also has a great smile which gives assurance. I felt confidence in his work.